How do I Connect a Microkorg? The microKorg, a 37-key synthesizer manufactured since 2002 by Korg, is known for its analog modeling, arpeggiator, vocoder, portability and the ability to run on batteries. Connecting the microKorg to an amplifier, a computer or a MIDI instrument is straightforward and easy. Connect the microKorg's "Output" jacks, both "L/Mono" and "R," to the input jacks of the mixer or powered monitor system. Use the "L/Mono" jack to make a monaural connection. Plug into the audio connections. To use the microKorg as a vocoder, connect a mic or other audio source to "Audio In 1," and use that audio source as the modulator. To use an external sequencer, rhythm machine, or audio source as the carrier of the vocoder, connect that device to "Audio In 2." Connect a mic or the output jack of the external device to both "Audio in 1" and "Audio in 2" to process the waveform of a synthesizer or sampler. Plug a MIDI cable into the microKorg's "MIDI Out" and into the chosen external MIDI tone generator's "MIDI In" to use the microKorg as a MIDI controller. 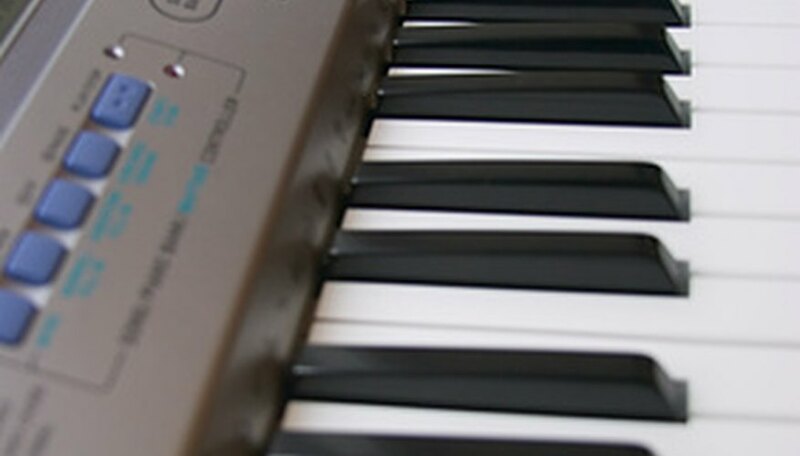 Conversely, to have another MIDI keyboard or sequencer control the tone generator, use a MIDI cable to connect the microKorg's "MIDI In" and the other MIDI device's "MIDI Out." Use the "MIDI Thru" connector to control two or three external MIDI tone generators from the microKorg. Connect the MIDI cable from the "MIDI Out" of the microKorg to the "MIDI Thru" of the first tone generator, and then connect a second MIDI cable to the "MIDI In" of the second tone generator. Korg recommends using a MIDI patch bay to operate more than three tone generators. Use a MIDI cable and MIDI interface to connect an external MIDI sequencer or a computer to the microKorg. Connect the "MIDI Out" of the external MIDI sequencer/computer and the "MIDI In" of the microKorg with a MIDI cable. This will allow recorded performances to be played through the microKorg's tone generator. Some USB-MIDI interface devices may not be able to transmit/receive the microKorg's MIDI exclusive messages. What Is a 555 Timer Used For? Does a MicroKORG Need an Amp to Work?